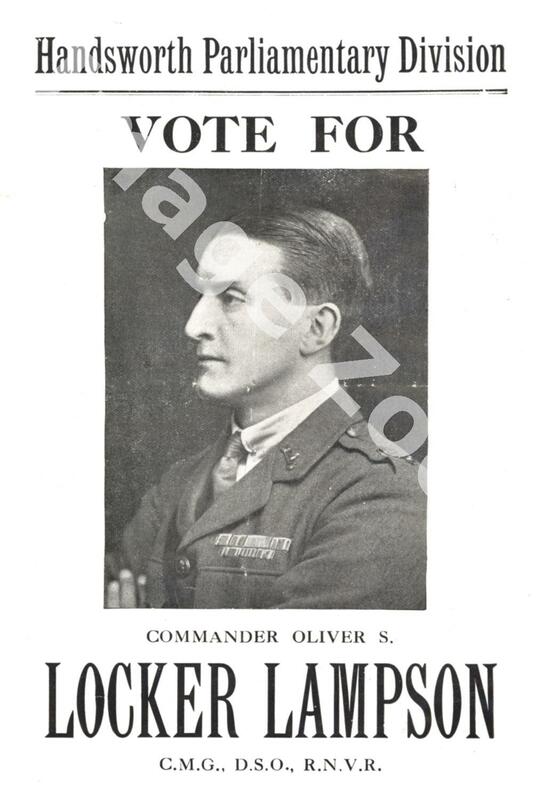 Description:Commander Lampson was the Conservative candidate for the 1922 General Election. The sitting MP Ernest Meysey-Thompson had retired and Lampson was selected as his replacement. Lampson had served in the Royal Navy during the First World War. From there he became Conservative MP for North Huntingdonshire. 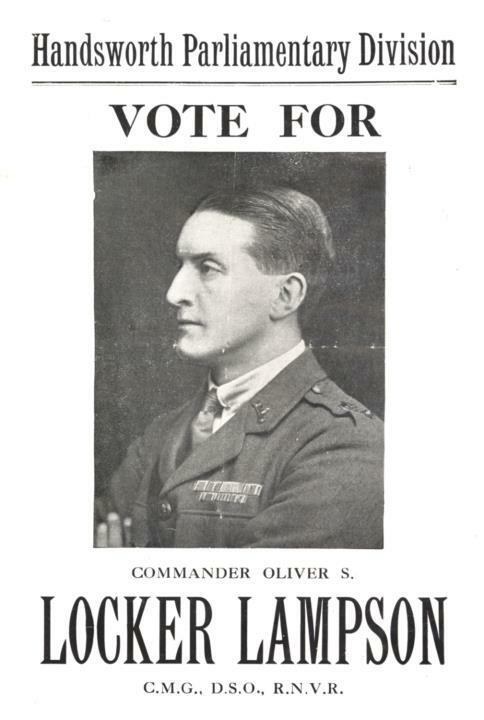 Unlike his Conservative predecessor he had no Handsworth connections to bolster his campaign. Looking at his selection as the Conservative candidate it is hard to ignore the similarities between Lampson and Thompson. Both from the landed class, both served as high ranking officers, both with hyphenated surnames. The Handsworth voters must surely have felt a comfortable familiarity with the candidate.